All Invisalign providers are not created equal. At Philadelphia Dentistry, Dr. Ken Cirka has established himself as an Elite Provider of Philadelphia Invisalign, successfully treating hundreds of patients and guiding them to their perfect smile. Do they have experience? Invisalign, just like all forms of cosmetic dentistry and restorative dentistry, is an art form. You want a provider who has experience handling hundreds of orthodontic cases successfully, and an Elite Provider of Invisalign like Dr. Cirka is prepared to deal specifically with your case so you get the treatment that is just right for you. Do they use sophisticated equipment? Your Invisalign provider should be able to envision your new smile from the start and show you the digital version of your corrected bite and alignment before your treatment even begins. Detailed 3D imaging is available to show how your teeth will move, and allows your dentist to observe the jaw from different angles to identify the best path to straight teeth. Do they promise miracles? Every Invisalign patient is different, and the right Philadelphia Invisalign provider is focused on customized treatment. Be wary of dentist who promise a one-size-fits-all treatment that seems too good to be true, or who tells you that you don’t need regular appointments to check in on the progress of your treatment. Invisalign plans are specialized, and you want a dentist who is prepared to treat you as the unique, valued patient that you are. Is Philadelphia Invisalign Right for You? 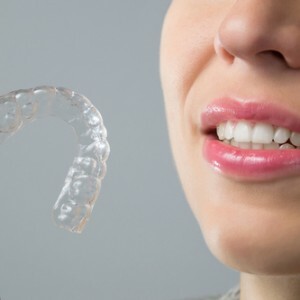 Some patients benefit considerably from Invisalign. Their lives are, in fact, completely altered by the success of their treatment. Straight, white teeth after years of embarrassing, crooked teeth can turn you into a new, confident person. A smile is powerful, and if you know yours is exceptional, you won’t hesitate to show it off. However, the first question your Philadelphia Invisalign provider will help you answer is whether Invisalign is right for you. The best kind of dentist is honest about all possible treatments and lets you know which are the most viable for your oral health complaints. If your desired result is white, straight teeth, a course of Invisalign and professional teeth whitening may get the job done. But if your teeth are permanently discolored, porcelain veneers may be a better choice as they can give you straight, white, flawless teeth. It’s also important to consider your lifestyle and if you’re willing to make any concessions to undergo Invisalign treatment. The appearance of your nearly invisible aligners usually isn’t an issue: They won’t be seen by anyone unless you point them out. What’s more important is considering whether you can fit Invisalign into your daily life. Are you prepared to wear the aligners for 20 to 22 hours every day? Will you clean your aligners properly and take them out for meals? Will you change the aligners when indicated so your alignment can continue its charted course? Invisalign is a responsibility and it is essential that you are on board with following all the rules and requirements of this orthodontic method. The results are worth the effort. If you have been told that your orthodontics case is complicated, if you feel like you will never achieve the smile you have always wanted, don’t despair. Now is the time to visit Dr. Cirka and his colleagues at Philadelphia Dentistry. Contact us at our Center City office to schedule your consultation.